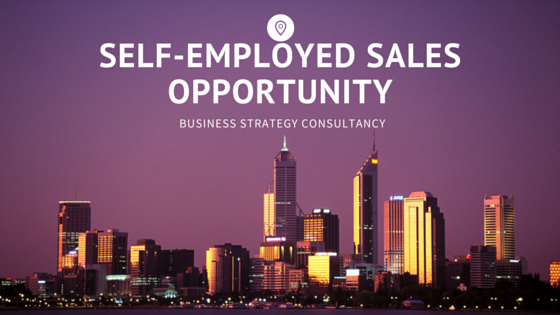 The following article and company interview is for self employed sales agents who are interested in selling the services of a leading business strategy consultancy. This company are UK based and are now looking for international freelance sales agents to help them expand globally. The following company interview will give sales agents an idea of what it is this company do, the clients they serve and the opportunity they are offering the the right independent sales people. We're a strategy company. Everything we do, is about giving our customers strategies that they can employ in their business. Our company is called Stratagem.io, so that's where the stratagem part of our name comes from - it's derived from the military use of the word 'to devise a plan'. The "IO" part stands for Input/Output. Input: We work closely with our clients to devise strategies that will work for them. In order to do this we rely heavily on their personal input. We are experts in helping them realise the challenges they face, their industry or domain expertise, product expertise or simply a set of aspirations. Output: We then combine their input with our best practices in strategy using our own expertise and business insight to devise and deliver a structured method and a solid strategy for moving their business forward. What made you consider working with self employed sales agents? Our aims for growth are dependent on 'boots on the ground' so to speak. Consulting is one industry where customer contact and natural relationship building cannot be automated. It requires the human touch. This is a perfect fit for sales agent model. We are also huge evangelists of entrepreneurship and recognise that self-employed sales agents are exactly that... entrepreneurs. As well as working with agents, we very much looking for long term partnerships where we can learn from eachother and grow together. One of our core goals is to foster entrepreneurial ecosystems and thus, by working with independent sales agents we can get closer to realising that vision. Why would sales agents have an edge selling your products and services? Right now, there's little competition in this space. This market is currently untapped and is ripe for first movers. We also have huge emphasis on constantly refining our sales processes which should make the job of the sales agent easier and easier over time. Since we're working with the smaller business, we are not constrained by the lengthy or intense sales life-cycles, which means faster turnarounds. Our tech savvy approach also gives our sales agents an edge with more reach and impact. Our larger consulting products also have sales best practices that have been learned from the likes of LinkedIn and Apple (specifically suited to selling consulting) and rest on natural selling approaches. Trust is becoming more and more important to the sales process, and all our efforts prioritse building trust and rapport with our clients which, in-turn leads to prosperous long term relationships. Those who are geared up for execution; companies like Marketing Agencies, Branding Agencies, Outsourcing companies, and some SaaS (software as a service) style companies - typically service based companies. On the other end of the spectrum are consulting companies. These are generally planning and strategic type or organisations. Some of them do execute in some way, but most of them exist to impart knowledge expertise either as a productised solution or through some sort of secondment of staff in some way. Most consulting companies focus on larger enterprise type companies that tend to employ a minimum of around 1000 staff or more. Though that's not a strict rule, the point being, that these services are geared towards businesses that have dedicated budgets for buying in knowledge expertise that doesn't exist in the smaller business. Our clients are mostly small to medium (SME)sized businesses that have been established for some time and have experienced organic growth up-till now. They have reached a plateau and now need specialist help to push them through. We have also helped a number of start-ups, however they tend not to go through the complete customer life-cycle as their need is often not great enough in the early days. Where do you see the consulting industry going in the future? We believe that the way business is being conducted is changing rapidly and smaller companies are becoming as serious in their approach to growth as are the bigger players. We've seen this in other industry sectors, and so it's likely just a matter of time until it hits full swing in this space as well. Take for example, the data driven approach to decision making, or say Business Intelligence. This was the remit of the larger enterprise throughout the 90's and turn of the Millennium, but many of the smaller companies and most especially start-ups insist on using business intelligence throughout the company. The same goes for corporate branding which was once the sole preserve of companies with huge budgets. Nowadays, small business has recognised not just the importance of the need to differentiate due to market saturation, but also the need to carry through with a strong brand presence due to social media and rapid change in the way in which people seek and have access to information. First of all, we're one of only a handful of strategic consultancies that focuses solely on business strategy and lead generation for the SME (small to medium enterprise) Market. Our products are affordable and our clients see huge results. We have found elegant ways of distilling all the useful knowledge and wisdom of the big brands in a way that small business can truly benefit from. Secondly and more importantly, we take a strictly principle-driven and long-term focus on growth with our customers. Growth doesn't come overnight, it comes through a series of marginal gains and consistent actions throughout all dimensions of their business. We look at the business holistically and stay well clear of "tactics" that are in fashion today yet likely to be gone tomorrow. We focus on fortifying our clients business in such a way that they benefit from our actions year later. Essentially we future-proof their company. Any wisdom we impart to our customers can be re-applied year after year and in varying situations and circumstances. Our customers experience growth over time as a natural by-product of our work with them, rather than quick spurts that are either unsustainable or limit the growth of the business in the long term. We have two short-to-medium plans currently. First, we want to take our offering to businesses around the globe. We want to increase our level of distribution, which we hope to do through independent, local sales agents. Second, we want to increase the amount of value we create for our customers. There's no doubt that we already create a huge amount of value for our clients, but we want to increase that even further, most especially through longer term relationships, where we can help them stay on track with their business progress. What are the downsides of not working with a strategic consultancy for business growth? Business owners have so many decisions to make on a daily basis and they're often pulled in many directions. It leaves them little capacity to think, let alone strategically plan for the future growth of their business. Most strategic growth plans are executed either by relying on those one or two individuals that have put a basic plan together or they're done ad-hoc. In both situations, the business inevitably always suffers. Companies geared for execution are designed for exactly that, execution and thus don't have the strategic insight that's needed relevant to the business in question. This creates huge, critical issues for the business and almost always results in either lost revenue as a by-product of missed opportunities, or as a result of an incorrect business choice. In addition to this, many business owners mistake industry or business expertise with strategic expertise. This results in poor judgement when it comes to planning, and thus, again the business suffers. In today's world of intense competition and decreasing attention spans, this kind of approach to business can be fatal. There are a number in this sector in the UK, such as REC, which deals with regulations pertaining to contractors and employment, as well as OfCom and trading standards that ensure products are sold as advertised and services are rendered as promised. These bodies are general bodies that apply to most businesses in the UK and are limited to the UK only. 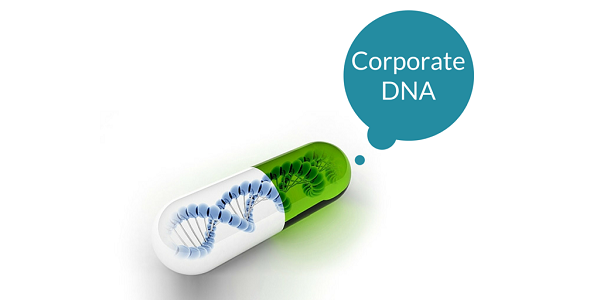 Outside of the UK each country has its own governing body for different parts of the business sphere.